In a week’s time, my little sister and I will be jet-setting off to Paris. I can already taste the crisp macarons, the fluffy, flaky croissants and the chewy baguettes that I am over-prepared to devour! It has been my sister’s dream to visit Paris. Her bedroom is decked out with Parisian decor, from pictures, to pillows to ornaments – she’s so obsessed! So finally, My parents have decided to allow us to gate-crash their European holiday and meet them in Paris for a week. A few years ago I went to Paris with my Dad. It was the middle of winter, and so walking around Paris, although incredible, obviously wasn’t as pleasant as it will be next week! I just remember Dad and I powering through the markets and down the streets, trying to see and experience as much as we could in as little time as possible (to avoid the cold.) One freezing morning, before heading off to Versailles, Dad and I decided to grab a Nutella Crepe from a small store run by an old Arabic man. What would usually be a simple task in ordering a crepe, became very difficult as we quickly realised that he didn’t understand any english. So, going off my observation that he looked Arabic, I mumbled a few Arabic words (probably every Arabic word that I knew) in an attempt to order my Crepe. And it worked, he understood me! A miracle! So there we were, in Paris, speaking Arabic and eating piping hot crepes filled with oozing nutella. 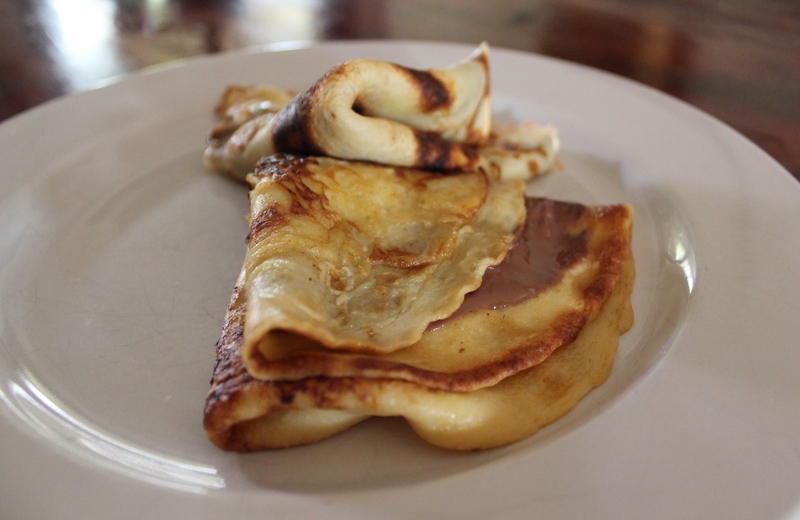 So in preparation for our trip to Paris next week, on this cold winter’s day in Sydney, I cooked my little sister some oozing nutella crepes, in the hope that it would cure her tonsillitis (yes she is sick!) before we fly out, or at least lift her spirits! Whisk all the ingredients together. 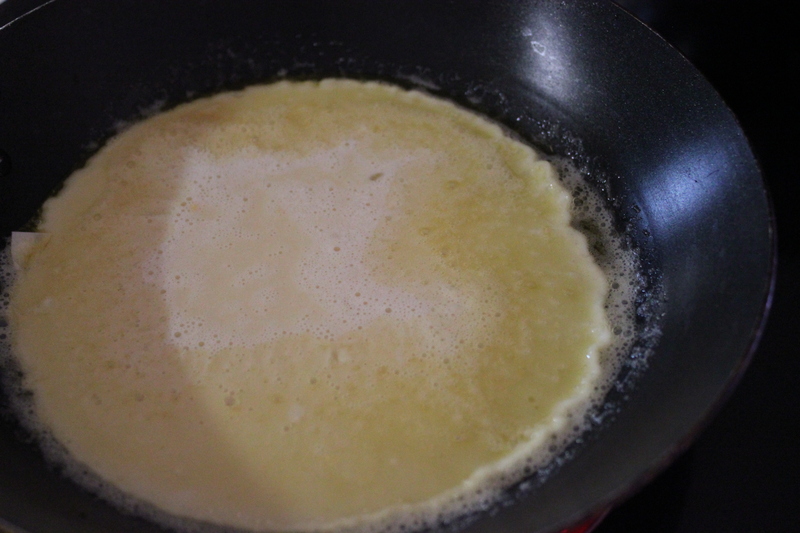 Melt some butter in a hot pan and pour in half of the mixture. 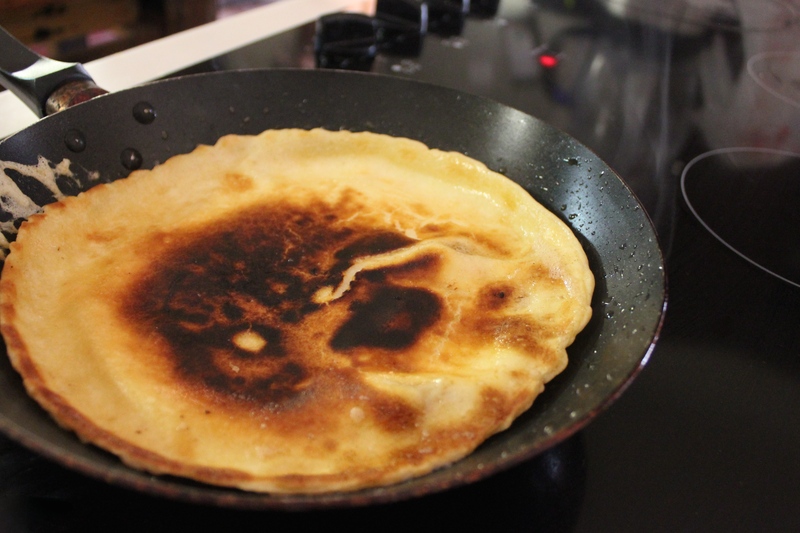 Swirl the mixture around until the pan is covered and let it become golden in colour (1 minute) before you flip it. 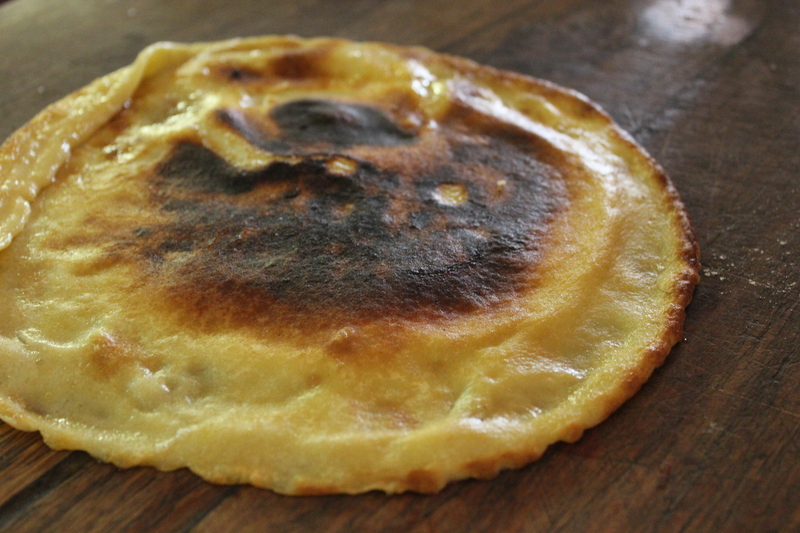 I recommend attempting the ‘flip from the pan’ as opposed to flipping it with a spatula! 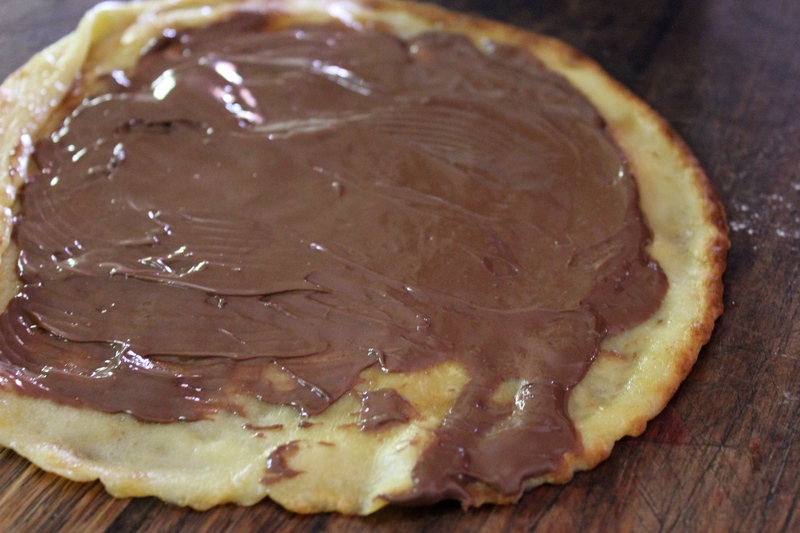 Once cooked on both sides, spread over some nutella, fold, and serve!